Whatever activities are taking place in your business at the moment, we know that the work doesn’t stop just because the nights have drawn in. 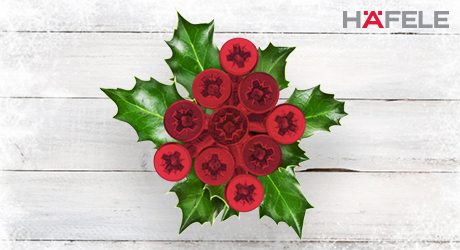 At Häfele, we’re here to support your business with products needed over winter time. You know that you can rely on us to provide you with your favourite go-to products but did you know we also provide a large amount of handy smaller items as well? We’ve put together a short list to give you an idea of the products that you may not have known we provide, that could be essential winter add-ons to your next order. Whether you’re adding some festive decoration to the office or need to keep your radio powered up while you work on a project, we sell a range of batteries for a range of purposes. To make sure you don’t get low on battery power this Christmas, view our range of batteries. Sometimes it’s the least exciting items that can be forgotten about when thinking about home, work or office essentials, and that’s definitely the case with bin bags and liners. For your every day non-recyclable waste, especially that that develops over Christmas, we provide rolls of perforated bin bags. Add yours to your next order, here. There is nothing more frustrating than going to secure a fitting, whether it’s a Christmas decoration or kitchen unit, and realising you have misplaced the screw or wall plug. To avoid this frustration, make sure you stay stocked up on all of your essential fixings and fasteners. Filter by product type, head type, thread or diameter here now to make sure you’re fully equipped. Here at Häfele, safety is our number one priority and we want to make sure we can support your business with the equipment it needs to be as safe as possible, too. For situations where ear protection is required, don’t forget that we sell ear defenders and disposable ear plugs. For situations where it’s eyes that need protecting, we provide a range of different safety goggles. View the full range of our safety equipment here. Small appliances are the perfect add-on solution, whether it’s a present for the office or to sell on to a customer. The Smeg SDA range epitomises this, providing absolute quality and function in an iconic retro aesthetic to be desired in any kitchen. Keep the tea rounds coming over Winter with a 50’s style Retro Smeg kettle or sell the luxury of coffee poured in style every morning, to your customer. Get your Smeg SDA brochure here. 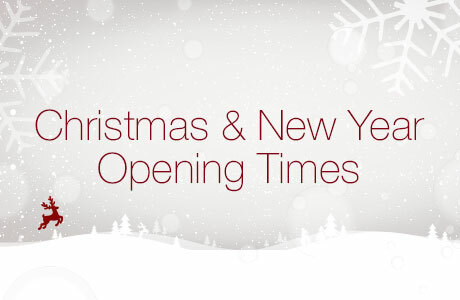 Don’t forget to check out our Christmas and New Year opening times to make sure you know when you will be receiving your orders over the festive period.